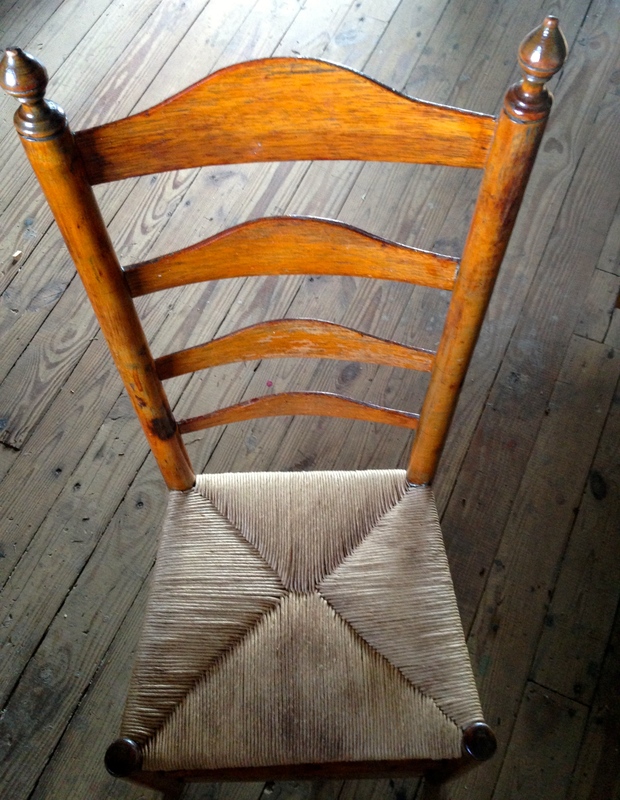 Have a beloved chair, rocker or stool that needs re-caning? 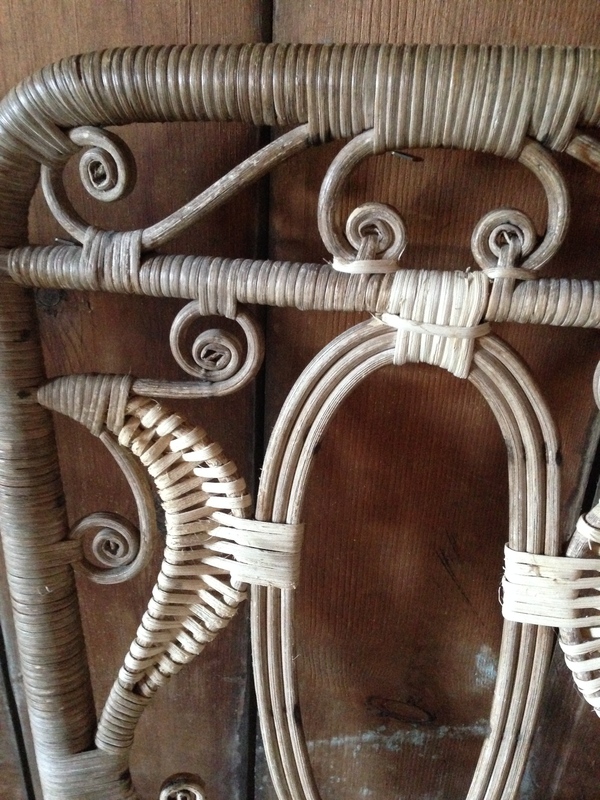 Old wicker piece that’s come unraveled? Get it repaired at Hayloft Studio. 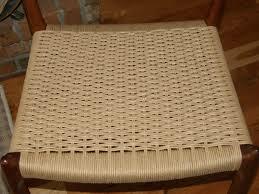 The timeless skills of chair caning and wicker repair have been passed on to me by my mother. Thanks Mom! 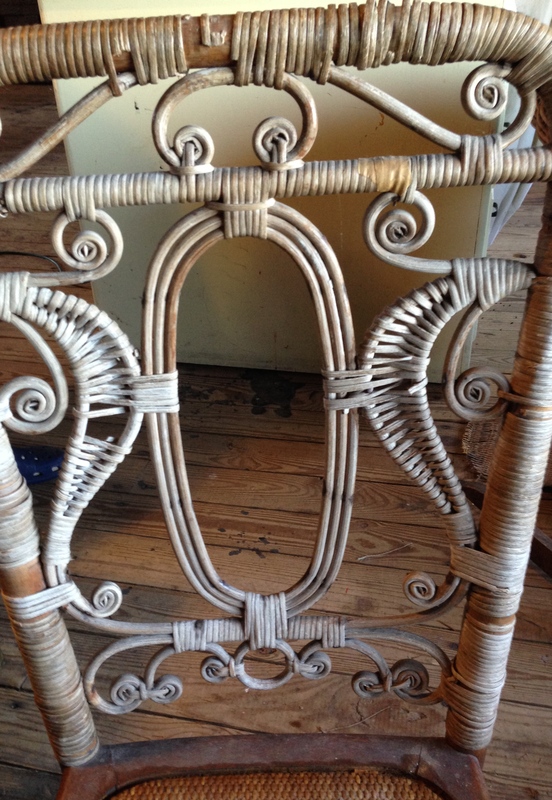 Combine that with my years of experience preserving and restoring historical finishes and your family heirloom is in loving respectful hands at Hayloft Studio. Below are the going rates, but it is always best to bring the piece right to me for a clearer estimate. 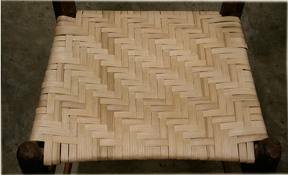 Pre-woven Pressed Cane: $0.45/sq. in. 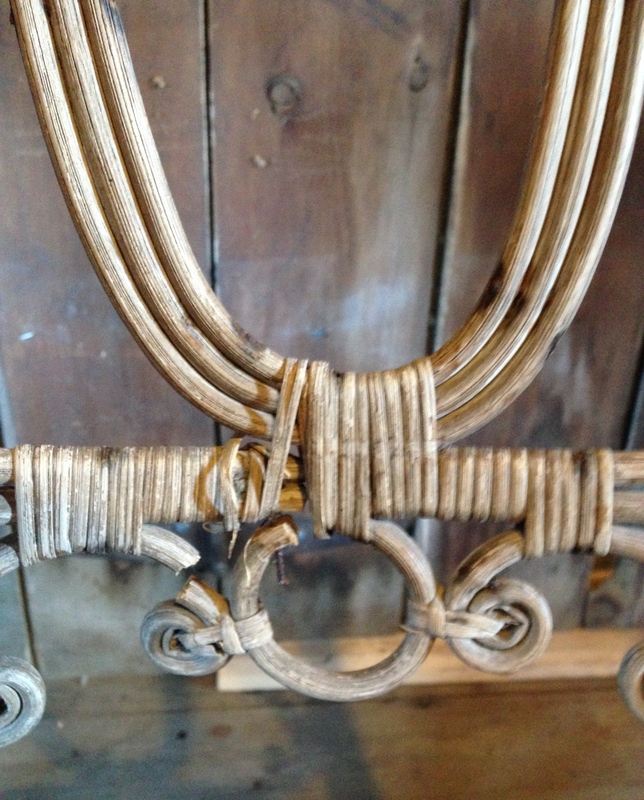 Natural hand twisted rush: $12.00/front in. 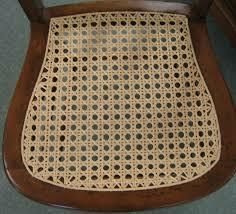 I am interested in changing my Shaker woven chairs to rush chairs. 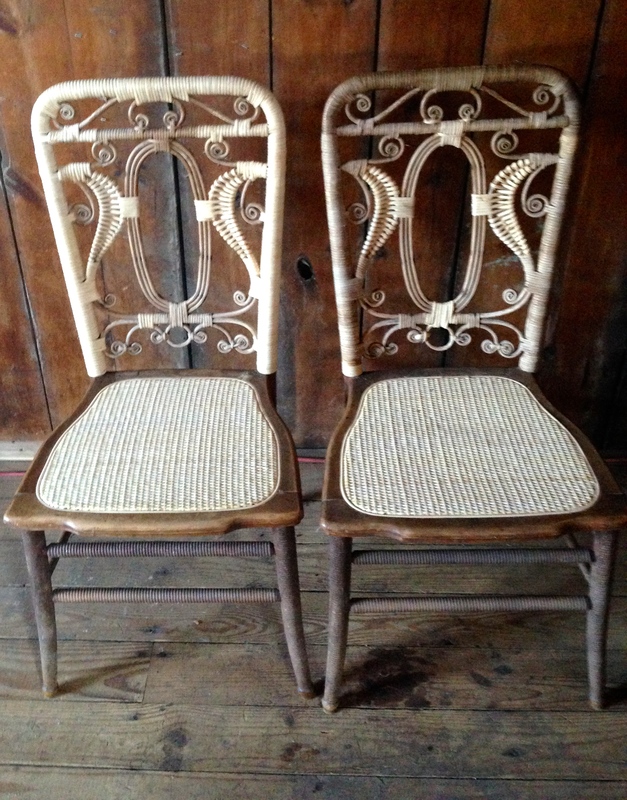 Can you give me an idea of prices..I have 4 chairs. Sorry for the delay. Can you send me a picture to darcytozier@gmail.com? Rush is $9 per front inch plus $15 for materials. 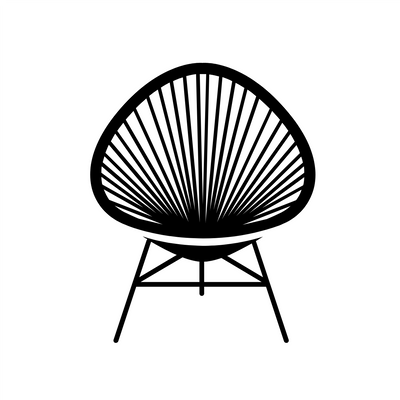 So if you measure the front rail of the chair and x by 9 you’ll get and idea. Thanks. 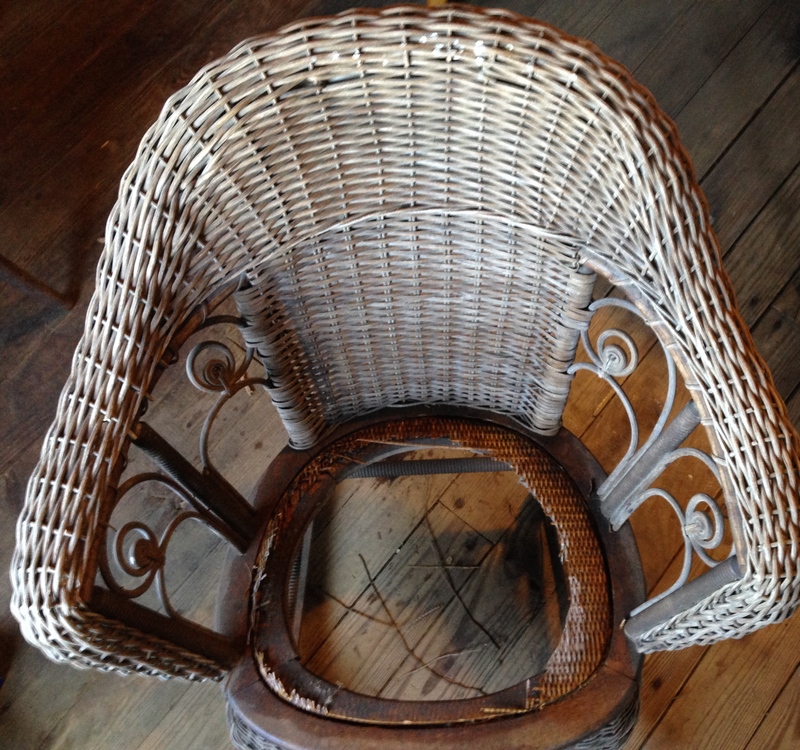 I saw your piece in the newspaper, we have not met but I sent a person to you to re-cane her rocker. Hi Darcy! 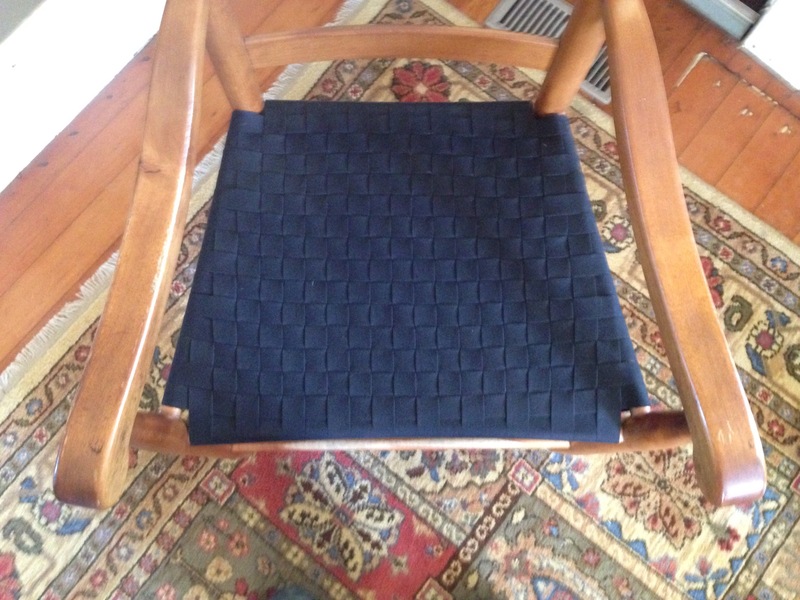 I have a caned chair seat that’s torn. 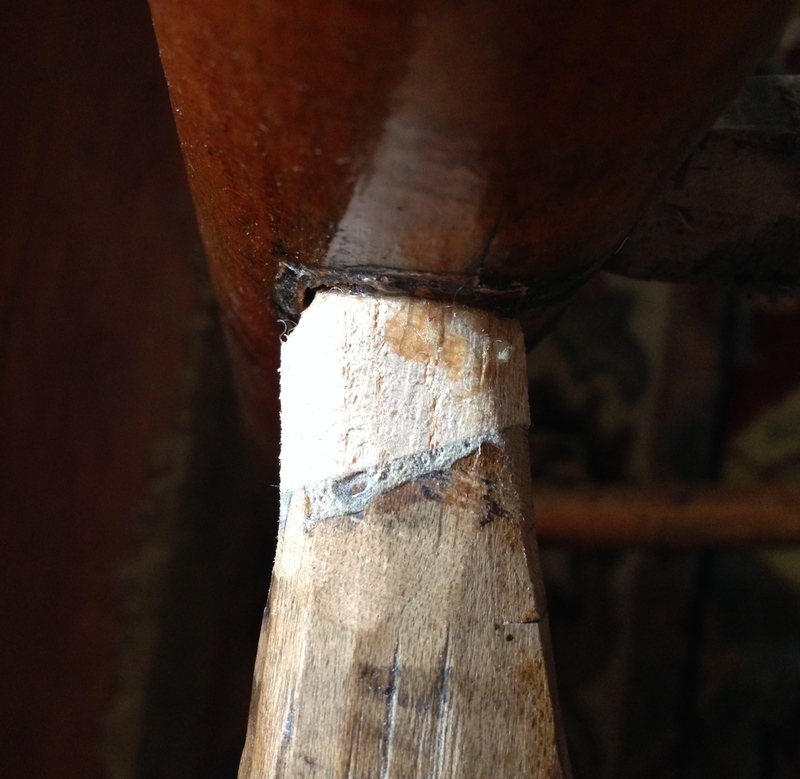 It’s the pre-woven kind, where a piece is cut from a sheet and glued in. The length and width are roughly 17.5″ and 16″ respectively, at the widest point of each direction. I wonder how much it would cost for you to fix this for me? I don’t know whether I can even afford your beautiful work, but wanted to inquire, all the same. Either way, I’m happy someone is carrying on this tradition here in Western Mass! Thanks!